This important find is making its first appearance on the auction block. And it has a whole lot going for it. 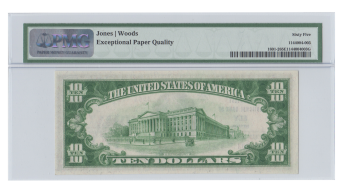 You can tell from the low serial number A000003 that this is from the first sheet of type2 tens that the bank was issued. The grade is exemplary. 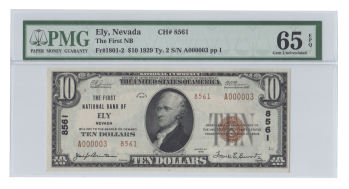 No other gem small size note from Ely has ever traded hands publicly before. 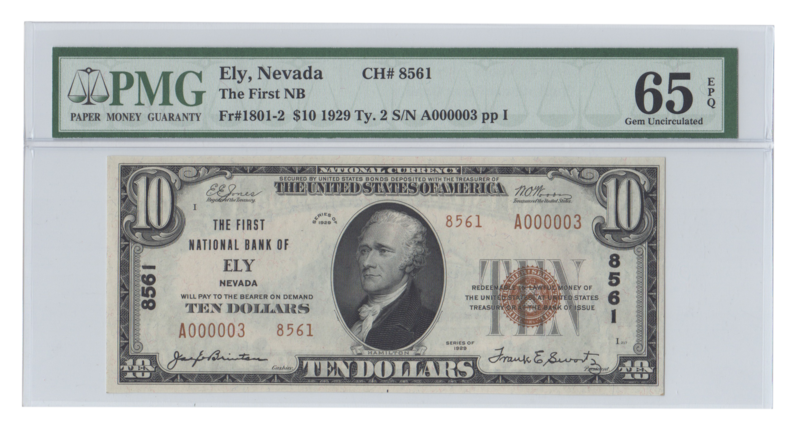 And of course anyone who follows the national banknote market will know how rare and coveted any Nevada national is. 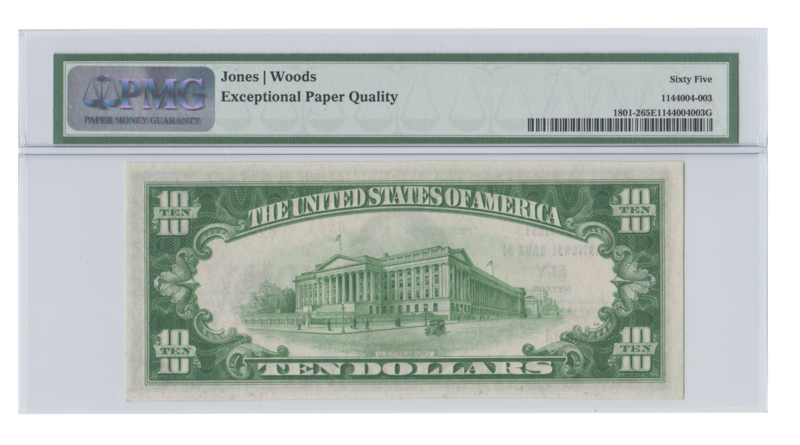 This is a chance to obtain a scarce note that even a novice collector can recognize as highly desirable and valuable.